/ Should You Buy Bitcoin? In early 2014, I was going through the application process to invest $10,000 in Bitcoin through the Mt. Gox exchange. At the time, Mt. Gox was the largest Bitcoin exchange in the world. But first, let's get to the question at hand. So Should You Buy Bitcoin? Why? Because at this point Bitcoin is trading a lot like gold. What do I mean by that? I mean that it's very difficult if not impossible to have any sense of the intrinsic value of the asset. No Cash Flow Or Even Prospect Of Cash Flow Down The Road? No Way To Value Bitcoin. Let me explain. Gold does not generate cash flow. Unlike land which can be used to generate cash flow through crops or putting a building on it or whatever. Unlike a company like, say -- for example -- Google which is bringing in gobs and gobs and gobs and gobs of cash. Well, gold doesn't do any of that. Perhaps that's okay under some circumstances if you're using it as a hedge against total disaster. And in that sense Bitcoin might work as well. If you had more than 10 million dollars, I might suggest [but you’d need to talk to your financial advisor first, obviously] you purchase a small bit of Bitcoin as a hedge against goodness knows what. But if you're in the asset-building phase of this game, you want assets that actually generate profits and cash and grow because that's how you get either dividends in your pocket or capital gains as the company grows more and more. Perhaps a couple of years ago when Bitcoin was a nascent asset, if you had money to burn and a speculative part of your personality, you could have put ten thousand bucks in there and just let it ride. However, even then investing in Bitcoin was a tricky business. Why? In 2014, Mt. Gox was the largest Bitcoin exchange in the world. (It was based in Japan.) Then, Mt. Gox announced that it had been hacked. A huge portion of the entire Bitcoin stock that it held for customers was stolen. It's been nothing but litigation since then for anyone caught up in this mess. So, if you'd had enough sense to buy Bitcoin way back when, and if you've been lucky enough to not have it stolen in the Mt. Gox heist, or in some of the follow-up thefts, and then you actually were brilliant enough to never sell any even after it doubled and tripled and quintuple etc., etc., etc, you'd be a genius and rich. But what are the odds of all of that? Especially when you can't value the asset with cash flow or expectations of cash flow…. To my mind, Bitcoin in the last year has shown all the hallmarks of a bubble asset. You have all sorts of fellows coming out of the woodwork presenting themselves as "cryptocurrency experts" and trying to sell you this, that, and everything else. It's really ridiculous and hilarious if it wasn't so tragic at the same time. If you want to know how to spot bubbles, check out this post I wrote on manias, panics, and recognizing speculative bubbles as they are emerging. You might also want to read my review of the book Popular Delusions And The Madness Of Crowds. Of course, like everyone else who ever talks about Bitcoin, I should take a moment to say that -- yes -- blockchain technology is an extraordinary invention and probably will have significant applications in the future. 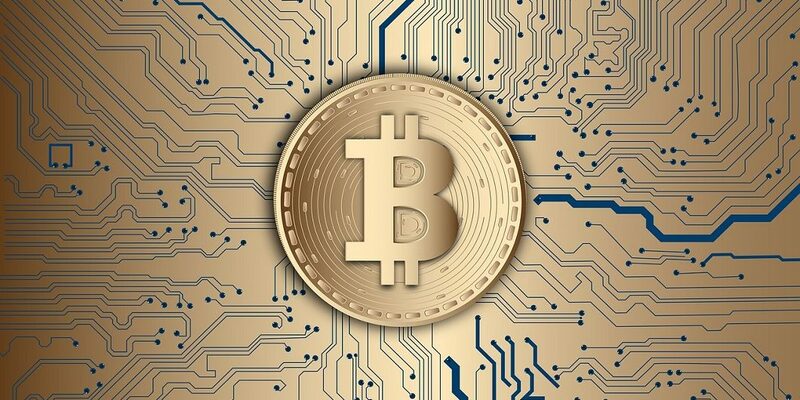 But that doesn't mean that Bitcoin will be the winning coin or that any of these coins will turn out to be significant holders of monetary value -- whereas the technology itself will probably be useful to a broad range of industries. P.S. What happened to my $10,000? Something just felt seriously off when I was applying for the account. It was incredibly difficult to open, confusing, and really unprofessional. I used to work at Charles Schwab, probably among the top three retail financial institutions in the world. I just couldn't deal with the craziness that was Mt. Gox. So I pulled back -- right before the hacking. Had I gone through with the investment? And had my coins not been hacked along with a third of all the coins at Mt Gox? And had I not dumped my coins after being totally freaked by such a hack? They would now be worth about a half a million dollars. But I honestly don't care. I'm a professional investor, not a professional speculator. I'm sure I would have dumped the coins long ago in any case.